The Canada Pension Plan Investment Board has agreed to bankroll a $526 million loan for Kemper Development’s expansion of Lincoln Square in downtown Bellevue. 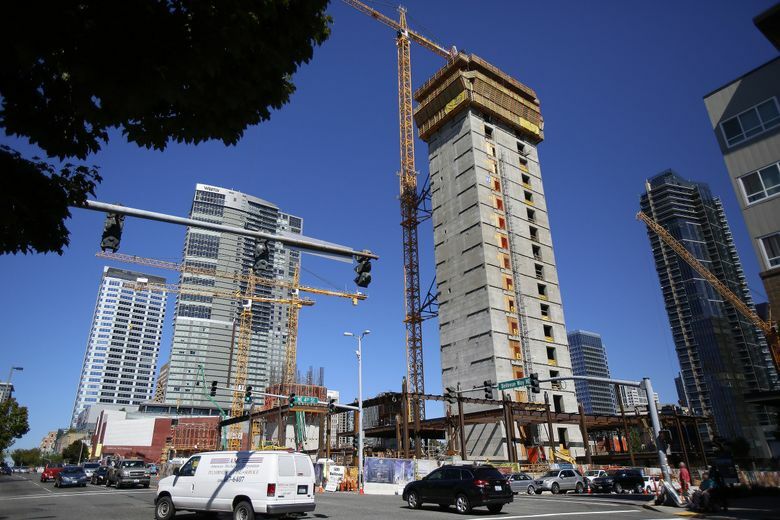 Canada’s largest pension plan has made an unusually large bet on Kemper Development’s Lincoln Square expansion in downtown Bellevue, agreeing to bankroll it with a $526 million loan. The Toronto-based Canada Pension Plan Investment Board (CPPIB) said Thursday the loan by one of its affiliates — its biggest private real-estate loan ever — would help pay for the nearly $1.2 billion mixed-use project. The deal’s crafters say it will shield the Bellevue developer from future interest-rate hikes. It also connects Canadian pensioners with what they expect will be a long-term, stable investment close to their border. Construction is under way on the 1.5 million-square-foot expansion, located along Bellevue Way between Northeast Fourth Street and Northeast Sixth Street. The expansion project consists of four parts: a 245-room W Hotel, 231 apartments above it, a separate 31-story office tower and three levels of retail. 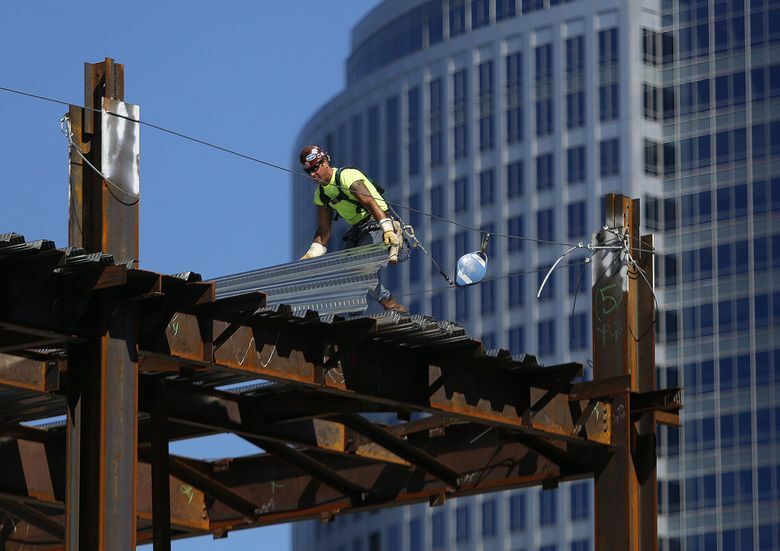 The office tower is expected to open next year, followed by the hotel and apartments. The loan scored by Kemper sets new precedents for financing mixed-use property, according to Cushman & Wakefield, which arranged the deal. Builders commonly get an interest-only construction loan with a floating interest rate. Once construction is completed and tenants move in, builders get a permanent loan with a fixed rate that could be very different from the one on their construction loan. But Kemper got a fixed-rate construction loan that will convert in about three years to four separate long-term loans, one for each part of the project, with staggered due dates as far out as 15 years. The deal insulates Kemper Development against interest-rate shock when the Federal Reserve raises rates, as widely expected, at some point over the next few years. After being hired by Kemper last fall, Karson’s team went hunting for a lender. They had a hard time finding U.S. banks and other commercial lenders eager to bite off such a big loan with an unusual structure. So they traveled to Asia and the Middle East. But for these investors, the loan was too complicated. On top of that, they’d need to hedge against the risk of fluctuations in the foreign-exchange rate. Ultimately, Karson’s team found a willing lender in the investment manager for the Canadian pension plan, which had $268.6 billion in net assets as of June 30. The Canadian pensioners’ long-term investment philosophy and deep pockets were a good match for Kemper Development’s desire to borrow a large amount of money while minimizing uncertainty about interest rates, Christa Chambers, Kemper’s chief financial officer, said in a statement. Kemper Development officials declined further comment. The firm has been mum on tenants for the project, other than the W Hotel and a restaurant, the 520 Bar & Grill. Former Microsoft CEO Steve Ballmer has reportedly leased the office tower’s top floor. Mortgage lending for commercial and multifamily properties is going strong this year. In the second quarter, the dollar volume for these types of loans were 29 percent higher than the same time a year ago, led by loans for multifamily properties, according to the Mortgage Bankers Association. The costly expansion of Lincoln Square comes as investors pour billions into redevelopment of existing retail properties nationwide rather than building new projects from scratch, says Jesse Tron, a spokesman for the International Council of Shopping Centers in New York, an industry trade group. While the bulk of that investment goes to malls, more and more of the investment is going to mixed-use concepts, especially in urban areas, “because there’s a nice symbiotic relationship between retail, office and residential” space, he said.